Before the Official Information Act was passed in 1982, all government information was automatically kept secret unless there was good reason to release it. This rule applied to everything, whether it was highly sensitive or just routine. 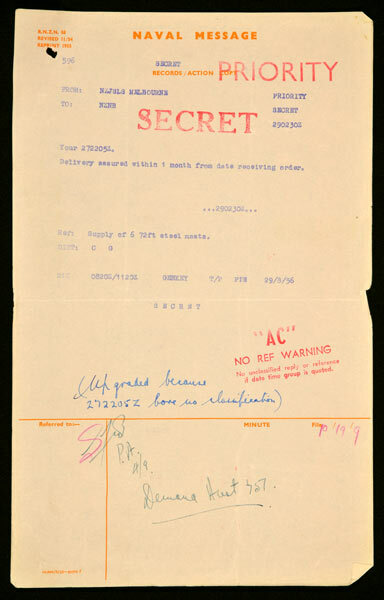 Some documents were actually stamped 'secret', such as this naval message of 1956 regarding the supply of six steel masts.